Eagle Creek Resort in better days, before mold problems forced it to close in 2009. The State of Illinois is now offering up to $500,000 up front to help a developer rebuild the state-owned Eagle Creek Resort on Lake Shelbyville. That is according to a new request for proposals that the Illinois Department of Natural Resources sent out earlier this month. An earlier RFP sent out in the spring attracted only one bid, which was rejected as incomplete. Bids from this second request for proposals are scheduled to be opened August 16th. State Senator Chapin Rose hopes an experienced developer will come along to give the resort at Eagle Creek State Park a new lease on life. “Most importantly, it has to be a developer that knows what they’re doing — has experience in hospitality, resort, hotel, motel, restaurant management," said Rose. 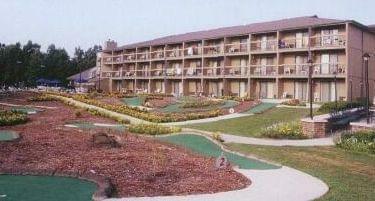 The Eagle Creek Resort was closed by a court order back in 2009 because of mold and financial issues. The last developer who tried to reopen the resort called it quits in 2014, after debating with the state over who would pay for repairs. The golf course at Eagle Creek has been reopened, but a 2016 engineering study recommended tearing down the resort building and building a new one.